For a few days last week, the heading that hit the nationals and international daily was the shocking news of dipping stock market of China and there was more to it: China’s market seemed to have lost 15-times as much as Greece’s GDP in the market cap. Market reforms were implemented with immediate effect and economists started analysing and predicting how would this sink affect China and other developing nations. Would Chinese people stop buying luxury goods? 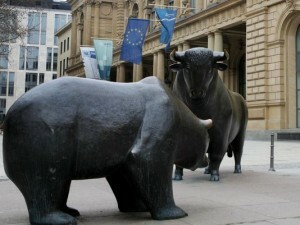 Quoting Irene Peter,” Anyone who thinks there is safety in numbers has not looked at the stock market pages”. China’s stock market marched along similar lines to hit an all time high economic rate and then crashing deeply leading to a plunged market. The Chinese citizens made a bull’s investment as China’s stock market became overvalued as a result of this “margin trading”. The investor category of bull depicts investors who are optimistic about future prospects of the stock market and believe an upward trending market is on. 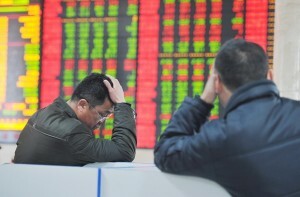 Thus Chinese citizens blinded with the initial market gains borrowed money to pile up shares. The GDP of the country was de-growing even as prices of Chinese stocks grew 150 per cent during the period, and during the first quarter of 2015, grew only 7 per cent compared to 7.3 per cent in the previous quarter. Millions of ordinary Chinese citizens sunk borrowed cash into shares, which inflated prices to unsustainable levels. When there started to be a dip in the prices, these investors were forcing to sell shares in order to pay back the borrowed money and ultimately cover losses. There is a followed circle of panic and pushed down selling prices simultaneously. 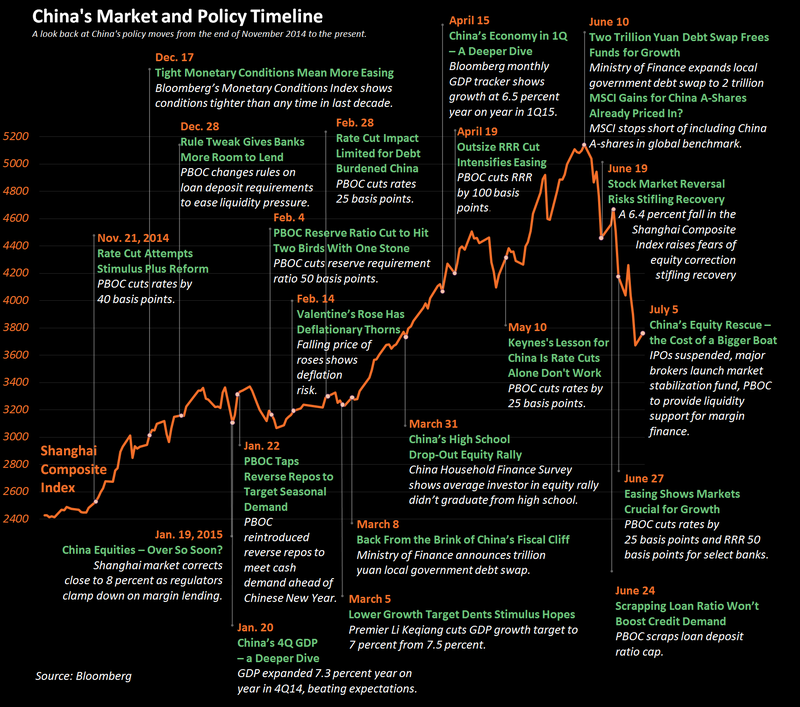 Thus the alarming situation has led to a bear market in China. The first lesson learnt is that any irrational extravaganza exuberance should be avoided for any developing country as it moves into a high growth phase. 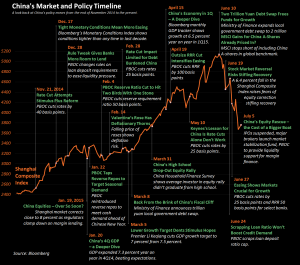 When the house of cards of China’s market came astonishingly crumbling down, potentially exposing millions of investors, the Chinese government immediately implemented a number of interventions and reforms to provide some respite to the investors. These reforms included suspension of trading of shares of nearly half of the listed companies, Interest rate cuts, stopping IPO’s, restricting short selling, halting on new listings which was aimed at redirecting new money into existing listed shares, and lending 260 billion (about $42 billion) to brokerage firms to purchase stocks. As of now these interventions are supporting a short-term rally as the main indices are starting to recover. Thus comes the second lesson learnt. A soon as the market shows unusually growing or dipping trends, the economists need to rush and predict and provide reforms and solutions to be implemented immediately without delay so as to enable smooth trading and prevent any drastic concerns. India has a history of being late on action building. So a carefully detailed and pre planned economic analysis can help India take immediate action if at all faced with such a drastic situation. The third lesson to learn from this market fall is to implement an improved supervision and development of new framework to make it possible to tackle any future turbulence in economy. 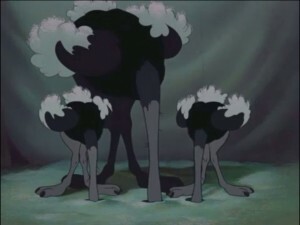 Rather than turning ostrich approached sensitivity towards the market, the details should be accepted. Economist George Lowenstein of Carnegie Mellon University coined the term “the ostrich effect” to describe the way investors stick their heads in the sand during bad markets with a hope that their portfolio is not severely hit. A country should be modest enough to accept the reality as an when its economy is slowing down. It is better to be in a temporary outrun than face a hard faced bankruptcy like that of Greece. Taking the final cue from the Chinese market and learning the lesson, Indian investors would have by now known that asset bubbles that are built on exuberance and not on sustaining and solid economic policies can land them in trouble. It also provides an opportunity for the Modi government to enhance work on fundamental issues that can aid India’s growth. The Chinese market witnessed a loss of $3.25 Trillion and yet without being engaged in any delaying or seemingly dejection activities, they were immediate on action. This teaches us the most important lesson of optimism and pro activeness. India can take cues either learning from the mistakes they committed or the process they are undergoing to undo any such exuberance that has led to the problematic situation and thus prepare for any economic turmoil or market unrest, reforming to avoid such situation and at the same time be ready to tackle it.